Learning and innovation go hand in hand. The arrogance of success is to think that what you did yesterday will be sufficient for tomorrow. William Pollard. Of all the government agencies and parastatals, the Joint Admission and Matriculation Board (JAMB) ranks among those that have been responsive to innovating to meeting the changes and challenges that evolved with time. Arguably, the larger part of this responsiveness took place under the watch of Professor Dibu Ojerinde as the Registrar of the examination body. There was a time when the brochure that accompanied the application forms was large enough to constitute a course of study on its own. In those days, one would have to go through the tedious process of completing the forms with the least amount of errors as possible – too many errors and you have a form that cannot be used and the window for the sale of forms might have closed. Eraser and correcting fluid were good companions to have at hand while completing the forms at that time. Then JAMB introduced online application. It was resisted. It was condemned. It was poorly understood. People wanted to continue applying for the examination the old way. Fears were expressed as to the risk of applicants completing the online form and still not have their names on the list of those to write the examination. Of course, there were hitches that were resolved as there was better understanding of the system over time. It must be noted that what some called hitches were errors made on the part of some applicants as they complete the online application. Today, applying online is taken for granted. Then there was notification of result. Those who wrote JAMB in the nineties can attest to those many trips to the local post office to check for the arrival of their result slips or their none-arrival. Those were painful years when one could score high marks in the examination and lose out on admission because it took forever to know about the score. This was after it would have taken JAMB the better part of three months to release results. But in the mould of Professor Ojerinde’s penchant for innovation, advancement in technology was deployed to make it possible for candidates to get access their result using interactive platforms like SMS short codes. Again, there were hues and cries. People questioned the cost. We queried the authenticity of the results. But ultimately came to realise that it was one innovation tertiary institution applicants needed. Talking about saving costs, we used to write Universities Matriculation Examination (UME) after buying the form for the particular examination. As a sort of insurance, prospective tertiary students will hedge their option with the Monotechnic, Polytechnic, and Colleges of Education Examination (MPCE) and also pay for another round of forms. Candidates then read for both examinations with slightly varied syllabi and possibly travel to two different locations on different dates for the tests. It takes the innovativeness of an Ojerinde to replace both tests with the Unified Tertiary Matriculation Examination (UTME) and save all stakeholders the hassles. But as usual, people kicked against the innovation that ensured candidates write one single examination and have shots at institutions across board. The most recent is the Computer Based Test (CBT) that became universal for all UTME candidates after pilot phases of it being optional. Even at the pilot phase, people had tried to shoot down this innovation, which was no surprise given our history as a people who dread change. 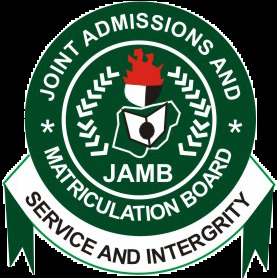 As Andrew Smith aptly put it, “People fear what they don’t understand and hate what they can’t conquer.” Similar to the previous turning points, the CBT for 2016 had its hitches and one expects that JAMB would act on all reported cases of glitches since it has shown the needed responsiveness under other circumstances before. While JAMB as an institution is responding to these issues, Professor Ojerinde must make sure he remains unbowed as he should be used to the kind of hullabaloo that follow in the wake of the series of innovations he has brought to JAMB. The advice became necessary given the scale of coordinated protests that have been organised to cast aspersion on the recently concluded examination in efforts to see the use of CBT dropped. When there is room for refining the process and system for efficiency it would be counterproductive to bow to the wishes of owners of miracles centres, who have been identified as being the brain behind the protests. The CBT means JAMB has in addition to other benefits been able to break the circle of cheating that the miracle centres typified. Those who understand Professor Ojerinde’s innovative leadership at JAMB would appreciate the need to ensure that his landmark achievements are national assets that must be maintained and possibly modified for adaptation by agencies to which it will be beneficial. His true worth as a leader is thus his role as a pathfinder for other agencies that are in need of innovation. This is what those who have genuine interest in the quality of education available in Nigeria must find ways of tapping into. His creativity in managing how people get into tertiary schools could be explored for improving how students learn in our ivory towers. Then we would have put this understanding of this man’s innovative leadership to good use. Philip Agbese is an international scholar based in the United Kingdom.